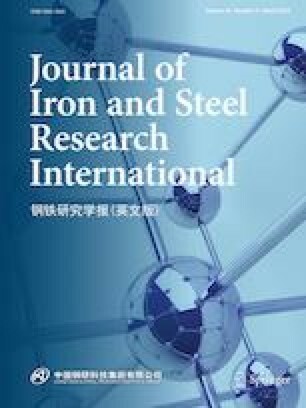 The effect of applied tensile stress on the γ′-rafting behavior for a Ni-based single-crystal superalloy with more negative misfit was investigated. By conducting interrupted creep tests at high temperature, it indicated that the increase in the applied stress accelerates the γ′-rafting (directional coarsening of γ′ phase). In the early stage of rafting, the γ′-cubes start interconnecting at the ends of the parallel-to-applied-stress γ′-channel. The distributions of misfit stress, coherent strain and strain energy density of the γ/γ′ phases are then calculated by finite element analysis. The calculation results show that the rafting acceleration is mainly ascribed to the reduced strain energy density in the parallel-to-applied-stress γ-channel that is driven from the couple interaction of external load and misfit stress. Interface dislocation network formation, resulting from the misfit-induced increase in resolved shear stress, also contributes to the γ′-rafting. This work was financially supported by the National Natural Science Foundation of China (Nos. U1435207, 51771007, 51671015) and National Defense Basic Scientific Research Project (No. A2120132006).